Learn how to shoot while wearing a welding mask! 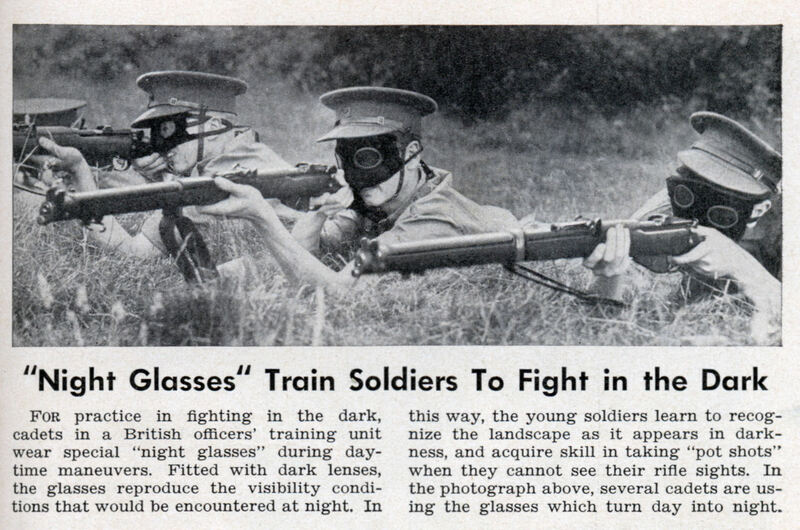 For practice in fighting in the dark, cadets in a British officers’ training unit wear special “night glasses” during daytime maneuvers. Fitted with dark lenses, the glasses reproduce the visibility conditions that would be encountered at night. 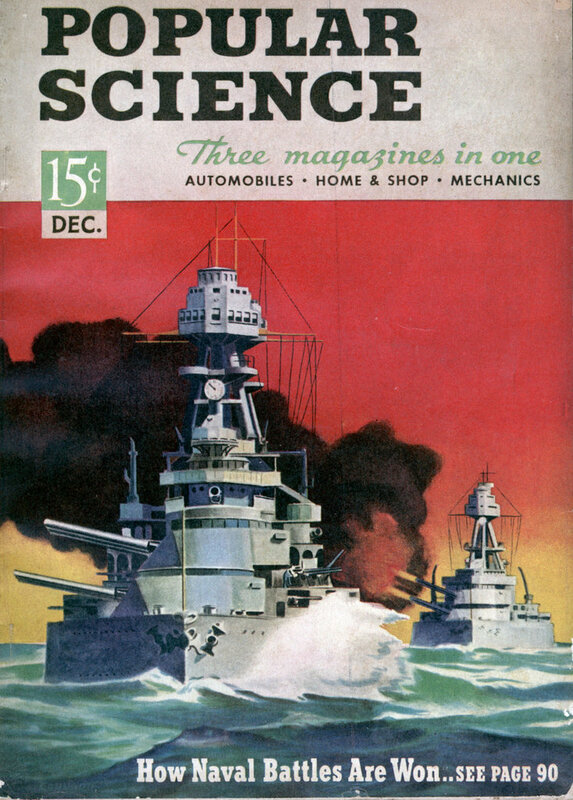 In this way, the young soldiers learn to recognize the landscape as it appears in darkness, and acquire skill in taking “pot shots” when they cannot see their rifle sights. In the photograph above, several cadets are using the glasses which turn day into night. Are these the “Lone Rangers”… where’s Tonto? The trainee gets to practice low light conditions while the instructors get to see their performance in daylight. You also get to conduct low light training without having to wait until dark and then give folks the next day off for being up all night. Why is this under “unpractical”? Don’t they still use these today?